At Phone Ninja we are experts in the art of mobile repair, with all iPhone 4S problems fixed directly at our Perth, WA stores. While the iPhone 4S is similar in looks to its predecessor, every part has been 100% redesigned. Luckily we have the expertise and the know how to fix your phone, and with the backing of our Perth price-beat guarantee you know you’ve made the right choice. So why wait, get your mobile repaired at our stores in Perth West Australia by dropping in or contacting us. You won’t find a faster, friendlier, or a cheaper service, and we back that with a Perth price beat guarantee! Specials: iPhone 4S On The Spot Repairs! – All Quotes fee come off the final repair price. The most common iPhone 4S issue we come across is smashed screens. Like all new mobiles the iPhone 4S glass is fused to the LCD however we can now refuse just the glass which will save you a lot of money. The good news however is that whether you have smashed just the glass, have a non-responsive touch screen or even have LCD issues like distorted picture, dead pixels or lines, or a muddled display; then Phone Ninja has the cheapest repair for you. At Phone Ninja, iPhone 4S screens are often done on the spot, so call our Perth West Australian stores or drop in to have your phone repaired. Another common iPhone 4S fix is battery problems, this sadly requires opening the device as the battery is internal. Batteries for iPhone 4S however are easily replaced for our experienced technicians and often can be done on the spot as long as the symptoms are easy to diagnose. Common symptoms include a short battery life or not holding charge, charging issues, and sometimes even not turning on. Unfortunately some of these symptoms can point towards other possible iPhone 4S repairs relating to the charger port, the power on / off button, onboard problems, & software issues. The back panel on the 4S is made from glass and therefore extremely fragile. Often when dropped the back glass will smash. Luckily this iPhone 4S repair part is cheap, easy to replace, and only cosmetic. Sometimes the front glass is also broken at the same time and we also offer discounts for having both the iPhone 4S back glass plus front screen replaced together. Rear Glass is always done on the spot, so checkout the pricing section below or contact us now. Many common iPhone 4S errors and faults are due to liquid ingression; whether you’re aware of the water damage or not. If you are aware however, turn your mobile off as soon as possible, and bring the phone down to us as soon as possible. Unfortunately you cannot remove the battery on Apple devices as the component is internal which only accelerates the corrosion. A technician’s iPhone 4S troubleshooting skills are often put to the test with liquid damage as any component in the mobile can be damaged. We however use ultrasonic cleaners which remove corrosion and reflow components rather than those who just bathe the logic board in distilled water. The 4S sadly has a wide variety of problems that keep our technicians on their toes. The iPhone 4S charger port for example can cause problems as the connector is often damaged physically or through foreign objects or corrosion. The iPhone 4S home button can also poise issues either through overuse or water damage where the home button becomes sticky, intermittent, or just flat out stops working. Other problems include speaker issues where you cannot hear the person on the other end, microphone problems where the other person cannot hear you, powering on and off issues, and software problems like the iTunes recovery loop, and iTunes error screen. The 4S launched in Australia on October 7, 2011 utilizing the same physical shape and footprint of the 4 with the focus on refinement rather than breaking the mould. In terms of hardware the mobile features a dual core A5 processor running at 800mhz, an improved 8 megapixel camera, and dual antennas; but does lacks 4G LTE compatibility. The 4S also added Siri, a self-learning voice recognition software that is used for not just navigation but also informational searches much like a voice-operated version of Google. 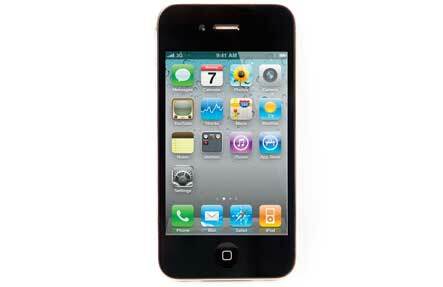 The iPhone 4S launched with the IOS 5 software which featured iCloud an online backup service. Like it’s the predecessor the mobile was sold in 16GB, 32GB and 64GB varieties.